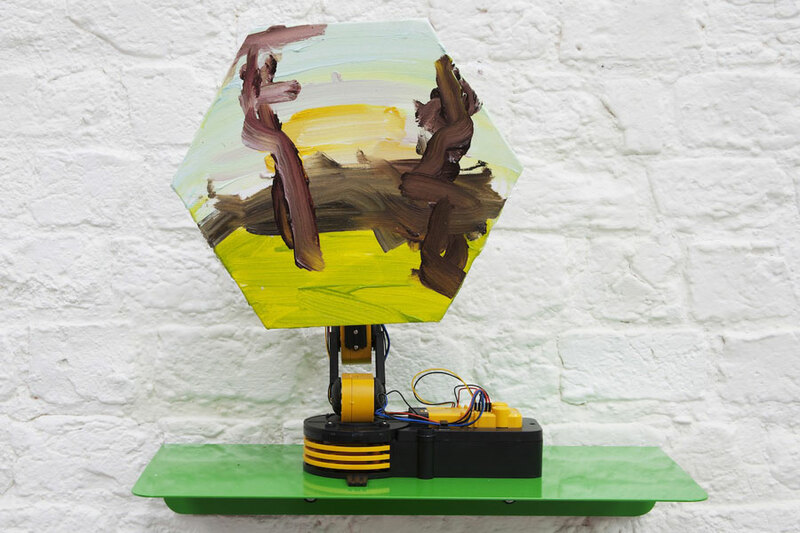 Formed in 2001, Phil Duckworth and Ben Sadler's work as Juneau Projects spans painting, sculpture, installation, music and sound. 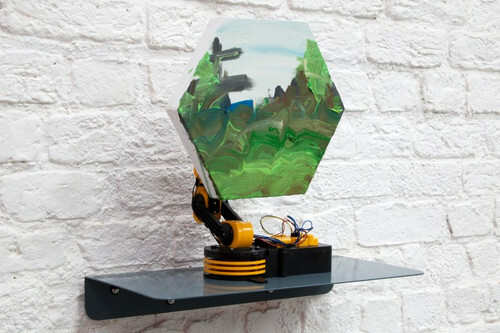 Through their work they seek to explore the relationships between the technological, social and natural worlds. Their work ties together a curious mixture of backward-looking folk and craft tradition with a forward-looking engagement with technology. We frequently find the apocalyptic lurking nearby. 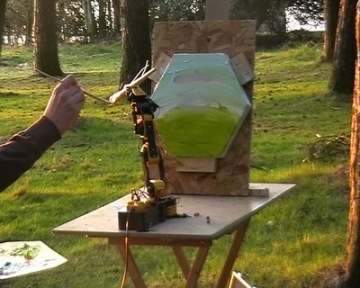 The Čapexagon Series saw the artists trying to paint landscapes en plein air using robotic arms. The arms are controlled by a laptop, limiting the time they can spend painting to the battery life of their computers. "The system was initially conceived by us in an attempt to consider some of the aspects that are involved in producing paintings as a duo. There is a constant act of translation that takes place between us when we are painting and, with the Čapexagon works, this process is physically manifested in the robotic arm. The marks produced by the robotic arm are also in opposition to the perceived ideas of robots being utilised to produce precise mechanical results. The arm is awkward and imprecise, rendering our interpretations of landscapes as near-abstract images. "